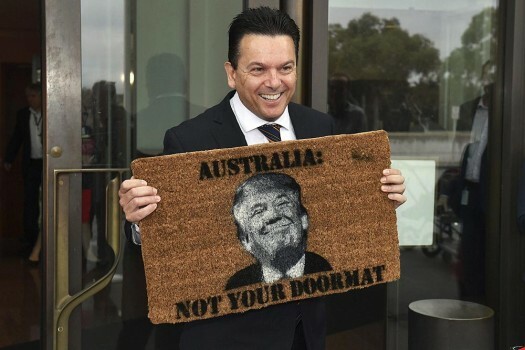 Australian Senator Nick Xenophon arrives at the Senate entrance at Parliament House in Canberra, holding a doormat featuring an image of United States President Donald Trump. 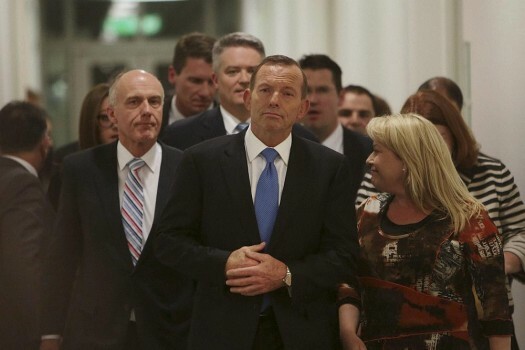 Australian Prime Minister Tony Abbott, center, leaves the Australian Liberal Party meeting in which he lost the party leadership at Parliament House in Canberra, Australia. 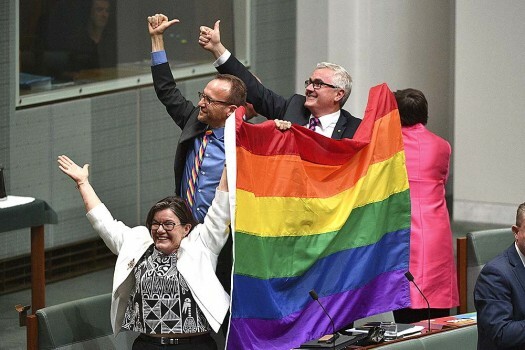 Australian Prime Minister Scott Morrison has rejected calls from conservative colleagues to withdraw from the Paris climate agreement. In a video advertisement released by Meat and Livestock Australia recently, Lord Ganesha along with other religious figures is found to be 'toasting lamb'.